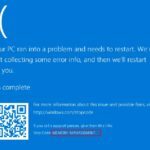 Another error that users of Windows 10 face after upgrading their system to the latest version is the “WHEA uncorrectable error.” It is a kind of blue screen of death error which comes into action due to an overclocked CPU. And so, in turn, your system shuts down to protect loss of data. 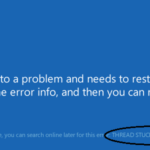 Not only Windows 10, but Windows 8 users have also complained about the error. 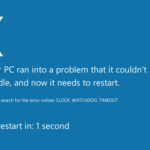 When you see a message saying- “Your PC ran into a problem and needs to restart”, with WHEA_Uncorrectable_Error below, then you my friend are facing this error. 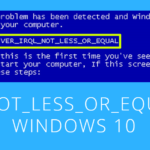 There is more than one reason that result in the error and here we will be sharing not only the causes and symptoms of the error but also various ways to solve WHEA uncorrectable error Windows 10. Apart from overclocked CPU, driver conflicts, corrupted system files and hardware issues also lead to the WHEA_Uncorrectable_Error. And sometimes you just cannot access your system due to the annoying blue screen stuck on your display. But before we move on to know how to fix 0x00000124 WHEA Uncorrectable Error, let us have a quick look at the main causes for this error. An outdated or misconfigured driver leads to conflicts in the I/O system. And the reason behind the faulty drivers is incorrect upgradation of Windows or it can also happen after updating a driver. 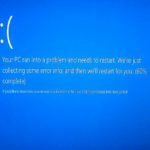 The motherboard, memory, and video card or hard drives when become damaged, they too become a common cause of BSOD errors. The error of hardware in turn result due to the overclocked systems. 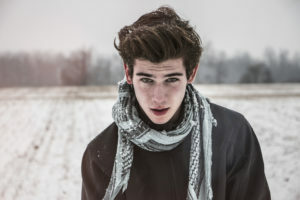 Another possible reason behind the error code 0x00000124is a corrupt or missing important system file or registry hive. 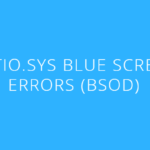 There are three main methods by which you can fix the BSOD WHEA Uncorrectable Error Overclock issue. You can fix the error easily by disabling the overclocking feature from your BIOS. Yes, your just have to keep a check on this feature and you will be able to resolve the error. Step 1: Firstly open the Charm bar. For this, you will have to hold the Windows icon key +C simultaneously. 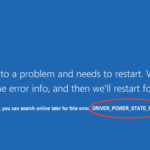 Settings> Change PC Settings> General> Advanced Startup> Restart Now. Step 3: Now go to the Troubleshoot option and then click on UEFI Firmware Settings. Step 4: Then again click on Restart. Now after your system restarts, it will automatically open in the BIOS menu. Step 6: Now toggle the bar to disable the feature of overclocking. Then save the change in settings made. Step 7: Press F10 to exit the BIOS window. You might be asked to exit the window by saving the changes, press Yes. Another method by which you can check if the error is caused by faulty hardware or a corrupt hard drive or failing memory, you can run chkdsk. Step 1: Press the win + C and open the Charm bar. Step 2: Type cmd in the search bar and press Enter. 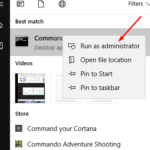 Step 3: Right click on Command Prompt as admin. The disk will be scanned by System and will solve all possible errors. Step 1: Again open the Charm bar on your computer. Step 2: Type Device Manager > Enter. Step 3: From the drivers, find out the corrupt drivers with a yellow sign. 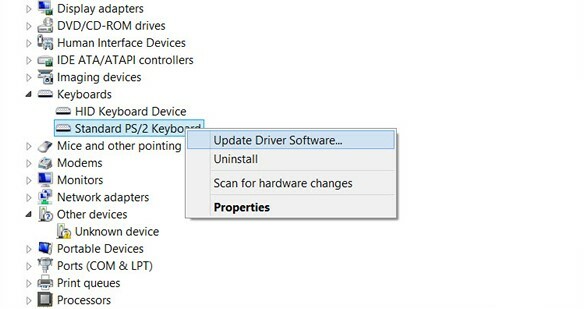 Step 4: Right-click on the driver and then select Update driver software. Also, you can try running device Manager in Safe Mode. To do so, just follow the steps given below. 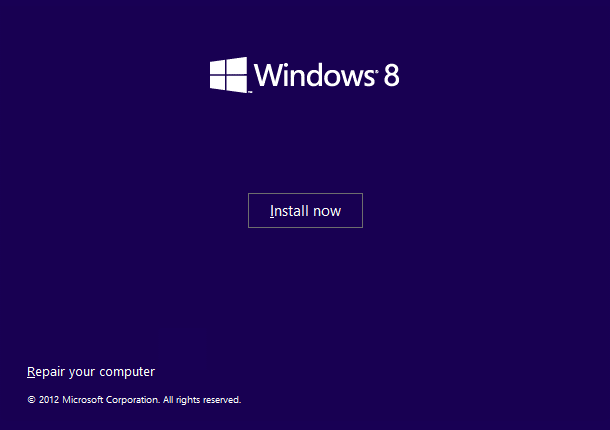 Step 1: Use the Windows Installation Media USB or DVD. Restart your system. Step 2: To boot from the media inserted, press any key. Step 3: Then click on Repair Your Computer. 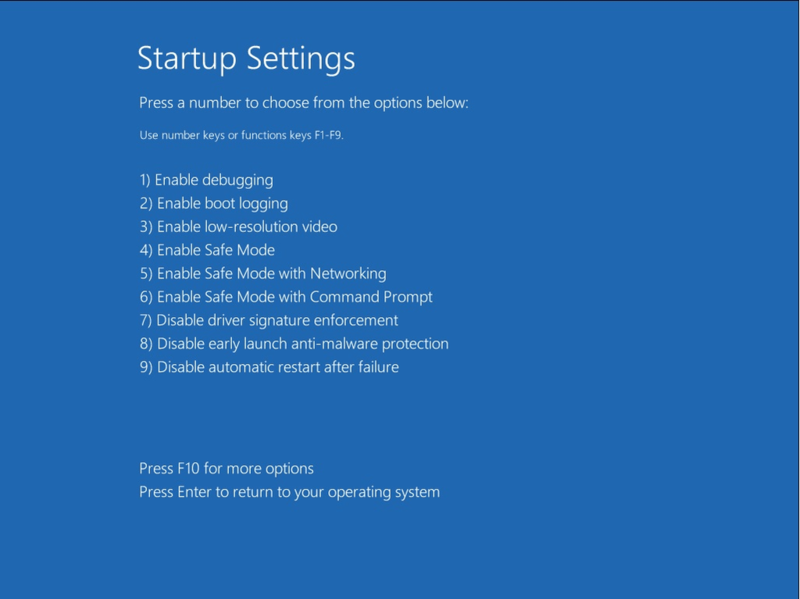 Now to boot the system in Safe Mode, just press number key 4 when on the Startup Settings screen. Your system will enter Safe Mode. That’s it, guys. We hope that now you know what does the WHEA Uncorrectable blue screen error mean and how to resolve the error. If any of the methods don’t work for you, then do let us know. All your queries and suggestions are welcomed.